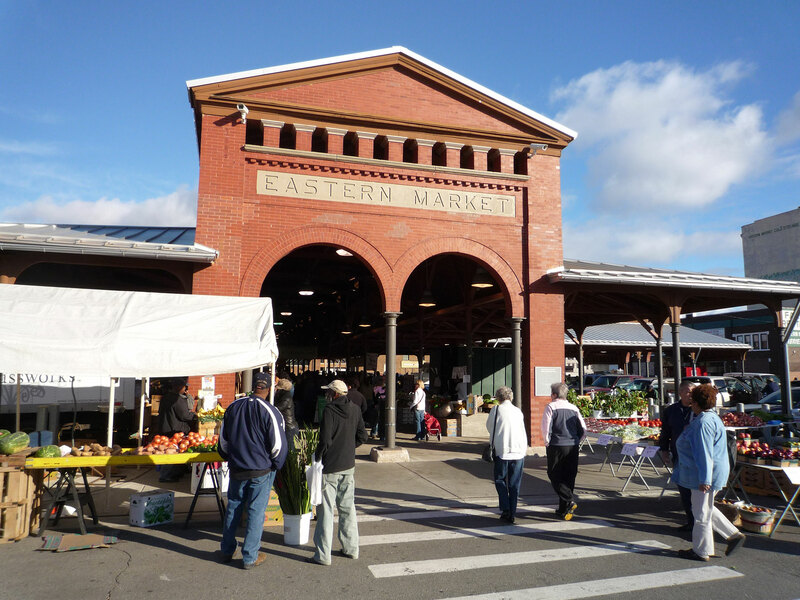 The historic Eastern Market, a sprawling market district of open air sheds and adjacent food retail and wholesale businesses, is one of the largest public markets in the country. The City of Detroit contracted with PPS to develop an action plan for the revitalization of this historic civic institution. PPS developed a detailed operations analysis and conducted surveys and focus groups of shoppers, non-shoppers, and market businesses. Based on this assessment, we recommended a new non-profit organizational structure and a capital improvement plan for the market district to sustain the market’s energy into the 21st Century. 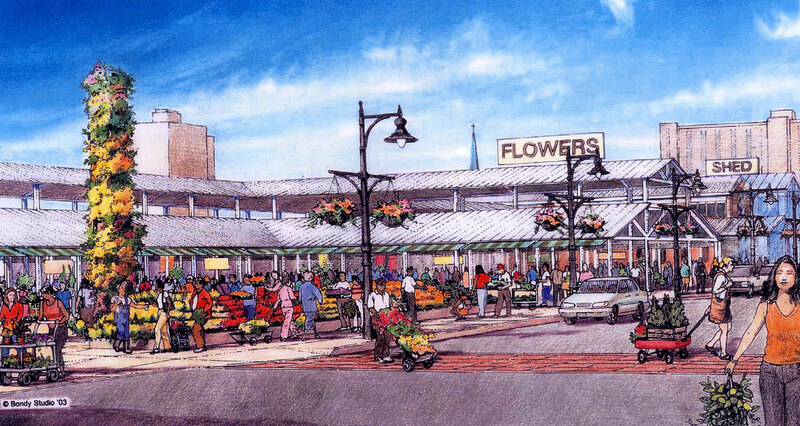 PPS also helped to oversee a design master plan, calling for broadening Eastern Market as a place for local farm products and the construction of an educational center and a new shed to create a concentrated flower center. In 2007, PPS developed a comprehensive outreach program to foster closer links between the newly established nonprofit Eastern Market Corporation and the Detroit community. The focus included: increasing and diversifying the retail customer base; more effectively serving low-income populations; retaining and attracting farmers; promoting awareness of locally grown food and healthy lifestyles; creating a gathering place; and strengthening links with wholesalers and buyers. In 2012, PPS began a new project of cooperation with Eastern Market Corporation to support the development of a neighborhood market network in Detroit, funded by the W.K. Kellogg Foundation. Since the Eastern Market Corporation has taken managerial control of the market district, three historic market sheds have been renovated. The retail market is now open on Saturdays, Sundays, and Tuesdays. All of the markets have attracted new businesses, as well as more shoppers. Overall sales are up, and investments and improvements are ongoing in the surrounding district. Rendered view of the flower shed and outdoor gathering space.